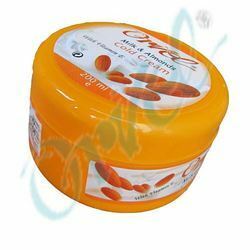 We are a leading Manufacturer of almond and honey cold cream, butterscotch cold cream, malai kesar cold cream and milk and almond cold cream from Delhi, India. 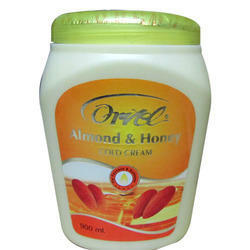 We are offering Almond And Honey Cold Cream. The offered cream is manufactured using essential oil and other ingredients which help to maintain the skin and leave it smooth, soft and oil free. 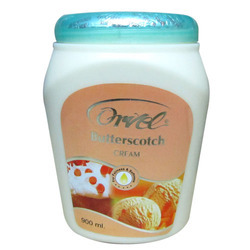 We are engaged in offering Butterscotch Cold Cream. Our cold creams are made of various natural and other ingredients, such as honey, wax, almond oil, borax powder, rose water and essence. Our range of Malai Kesar Cold Cream helps in protecting and replenishing lipids in all types of skins. The softness of malai will make your skin supple and radiance of kesar will enhance the natural glow of your skin. We offer high quality Milk and Almond Cold Cream which helps in protecting and replenishing lipids in dry, sensitive & reactive skins. The use of natural materials in its manufacturing makes it safe to use for infants as well as provides effective protection to dry skin from external aggression especially during conditions of extreme cold. Looking for Cold Cream ?